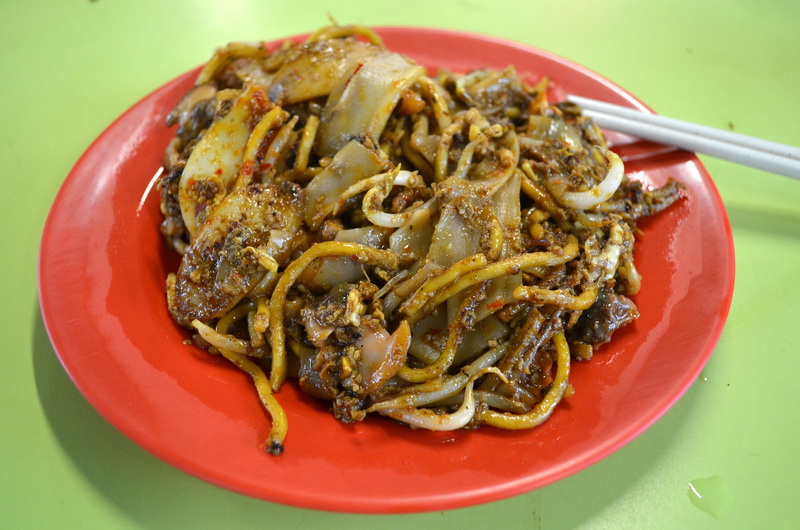 The Hong Lim Food Court was my first stop when I dragged myself out of bed early to grab some breakfast. I’d charted out a roughly southward path from Lavender Food Square Centre, so I hopped on a bus and then found my way around the otherwise unremarkable, generic city avenues until I found the series of squat buildings that made up the Hong Lim Centre. 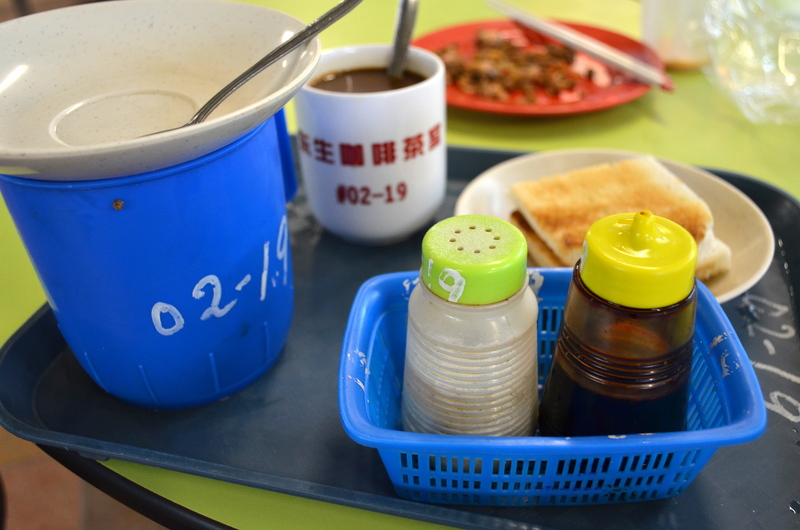 First, some milk tea and kaya toast at Wang Sang Yang Tea Pavilion. 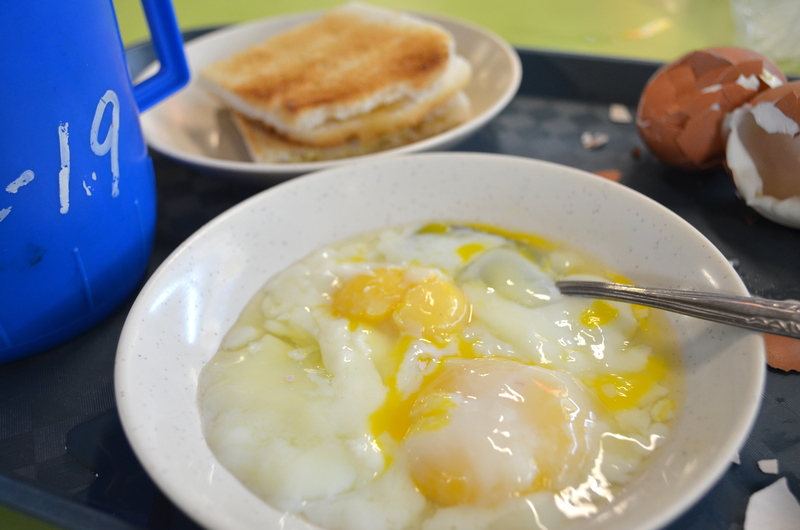 The plastic blue cup holds two eggs in hot water, which are meant to cook for at least seven minutes, which creates this sloppy mess of egg, perfect for dipping crunchy, butter-and-kaya laden toast into. I had a version of kaya toast for the first time in Los Angeles, at Susan Feniger’s now-closed Street. 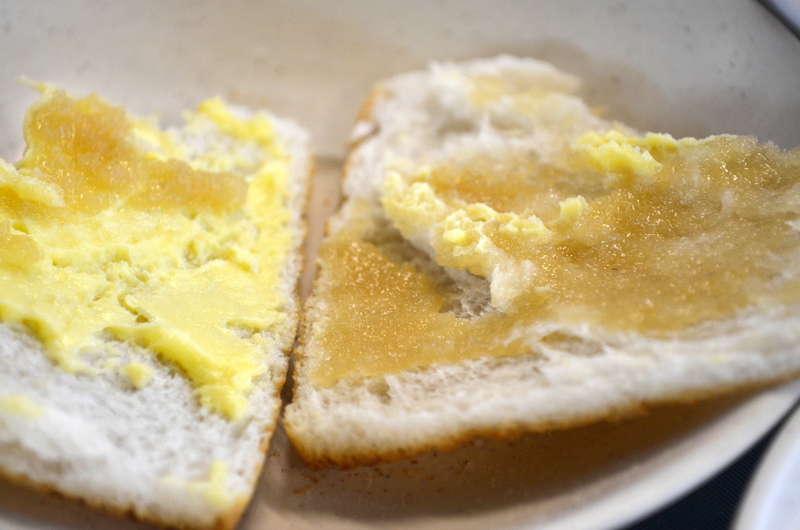 In her version, the flavors were much more intensified, particularly the coconut butter, a sort of bar snack version of kaya toast. This version had much more egg and much more subdued coconut flavor, which was better for breakfast. 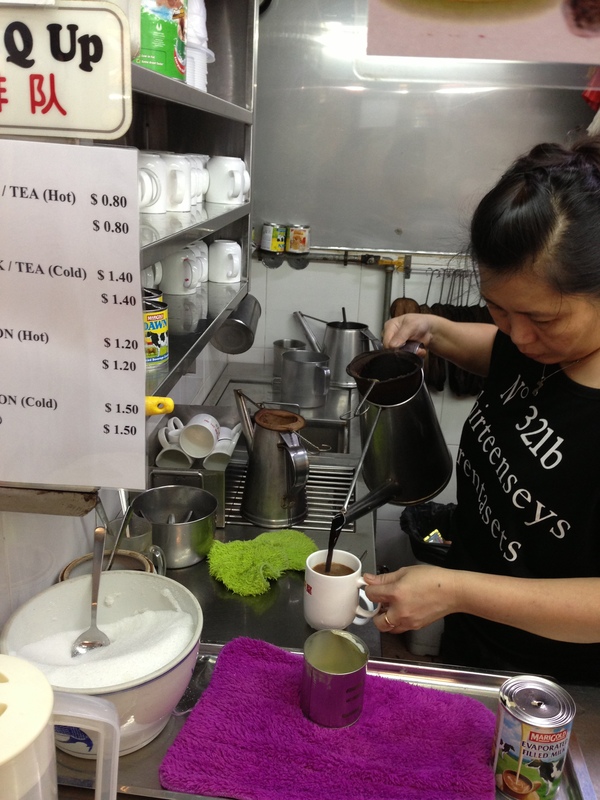 The milk tea was nice and strong, with a healthy dose of condensed milk. This greasy mess of noodles was delicious, with creamy egg, a punch of lard and chili and soy sauce, as well as fresh bean sprouts for crunch. I don’t care much for that seafood-y brine of cockles, but just about everything else in the dish was lipsmackingly delightful. 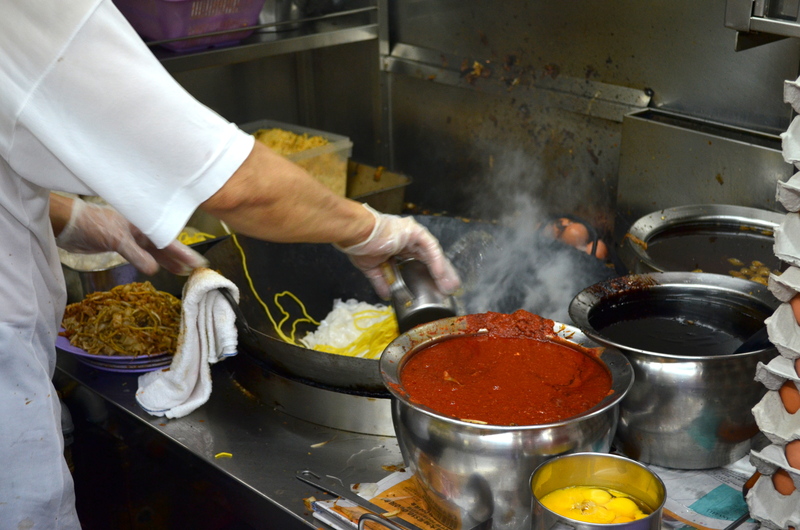 Below is the wok-man in action, adding the secret sauce to the noodles and egg. 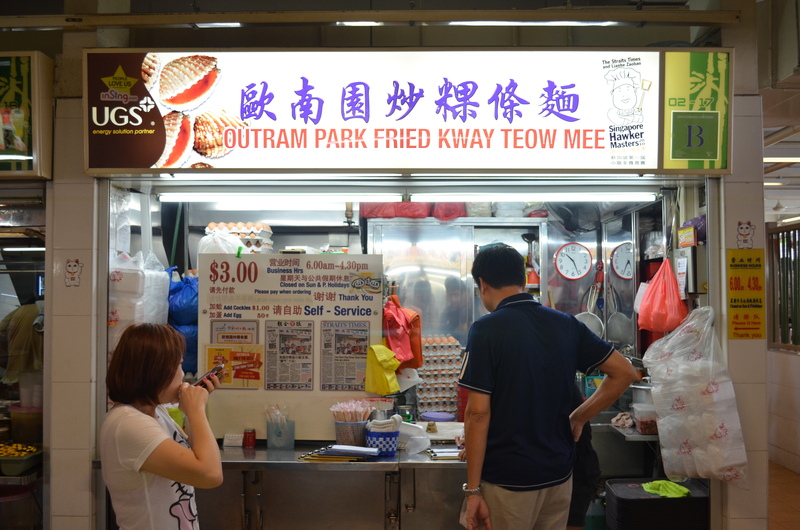 My guide to most of these places was ieatishootipost, a long-running Singaporean food blog that seems to have become a one-man authority on Singaporean street food, as well as a sociological investigation into the skills and techniques and histories and stories of hawkers and vendors across the city. I love the guy’s enthusiasm and candor about the food.